Yesterday I laced up my bikini, slathered on coconut scented sunscreen, basked in the simmering heat and thought to myself, summer is finally here. The summer seems to be a more effortless time for my mane and I. Simple steps to add hydration, shine and body can make all the difference. 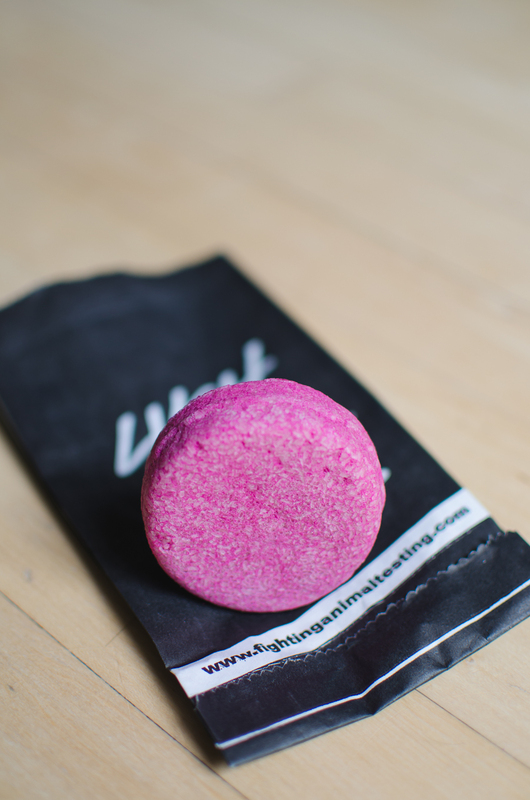 Tucking into a bed of roses wouldn't even begin to describe the scent of LUSH's Jason and the Argan Oil Solid Shampoo bar. Chlorine and sun can be quite damaging on the hair, soothe your tresses and lather away any dullness. Lasting roughly 80 washes, the equivalent of three bottles of shampoo, this sweetly scented bar packs a massive punch. 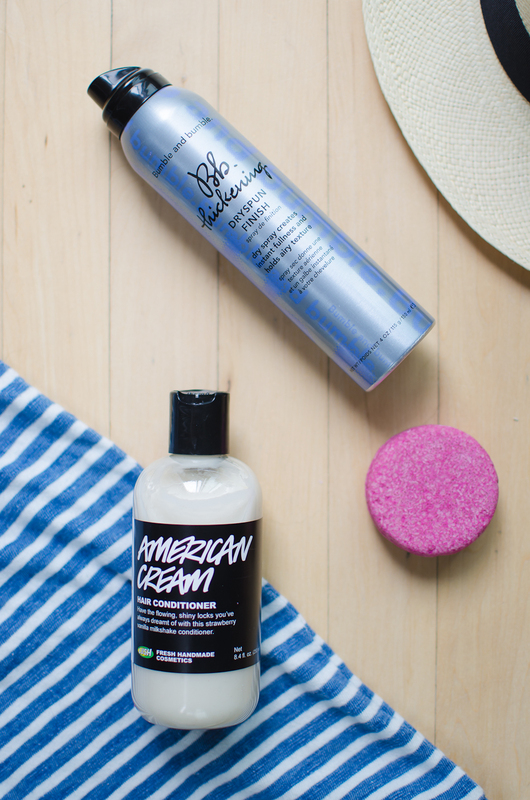 Handfuls of pale pink suds leave your hair shiny and re-energized! Oh, and did I mention it smells divine? 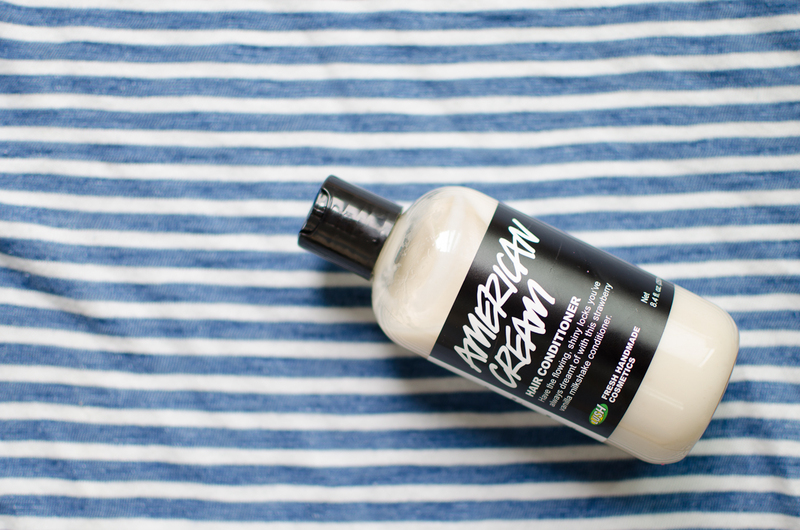 American Cream conditioner, a long standing favorite. A vanilla-ry scent with subtle notes of strawberries and lavender. Boasting a strawberry milkshake-like aroma, this buttery conditioner is perfect for everyday use. Having roughly towel dried my hair, I give it plenty of time to air dry before I begin styling. 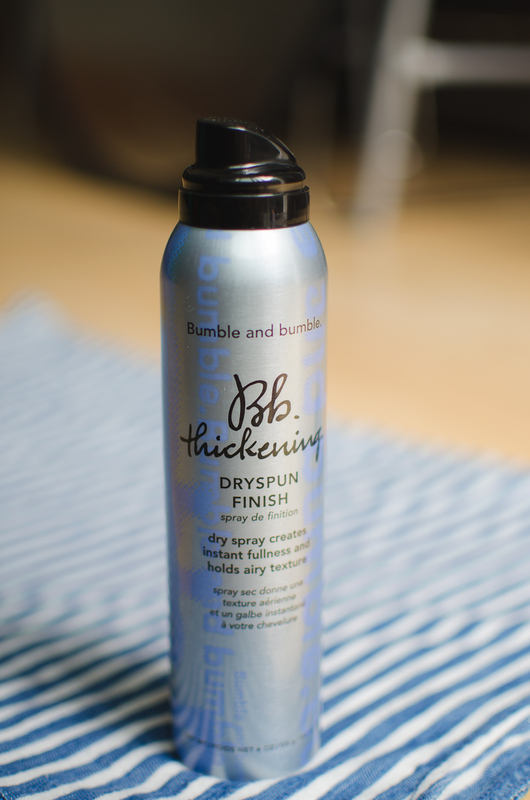 Whether I'm straightening, curling or going au naturale, my hair gets a boost with the Bumble and Bumble Dry Spun Finishing spray. Disheveled and windswept texture, and a touch of hold all in one bottle! It gives you that don't mind me, I've just been for a walk along the beach, look. Laid back and textured hair is my go-to in the summertime. A no-fuss attitude is taken, especially knowing that the heat will have me tugging my hair up in to a top know by the afternoon anyways. Days when my hair resembles hay (we've all been there), I mix equal parts Argan oil and Coconut oil with a sprinkling of Lavender oil and massage from root to tip. Twenty minutes, twice a week and you will be noticing a major difference! How is summer treating you? How are you treating your summer hair? Tell me in the comments what your favorite hair product has been this summer!